From Rte 3, take the MA-14 exit, EXIT 11, toward Duxbury/Pembroke. Turn slight right onto Congress St/MA-14. Enter next roundabout and take the 2nd exit onto MA-14. Turn right onto Tremont St/MA-3A. 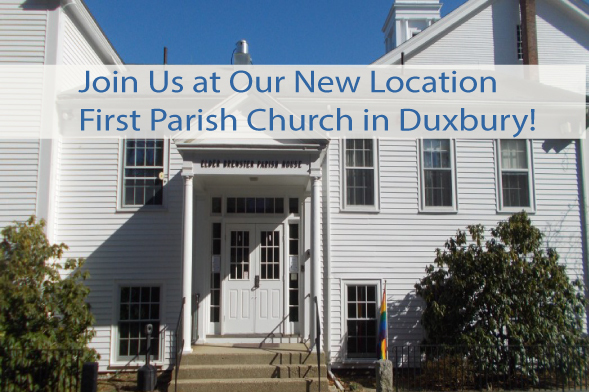 First Parish Duxbury at 842 Tremont St, Duxbury, MA is on the right. Entrance to the hall is from the rear parking lot.